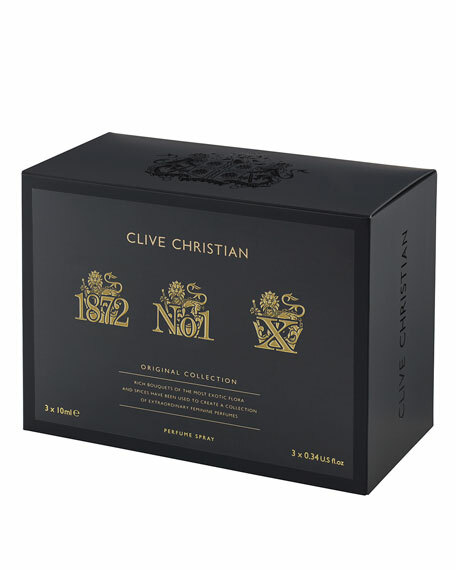 The complete Original Collection masculine set, perfumes that celebrate the heritage and very essence of Clive Christian Perfumes. 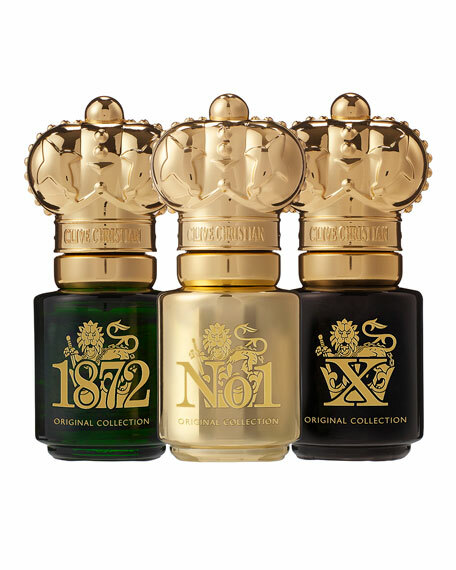 This gift set includes 10 mL versions of the spicy and bright 1872, intoxicating and alluring X and No. 1 distinctive and celebrated for its precious ingredients. 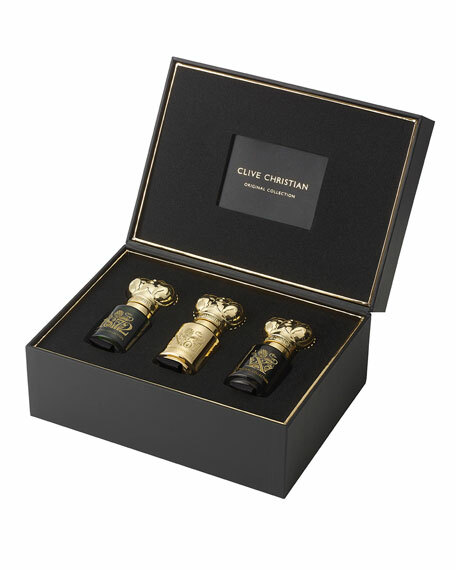 An exceptional gift for the discerning perfume lover. A striking collection of deeply complex and colorful perfumes, a true celebration of extraordinary moments and memories brought to life.